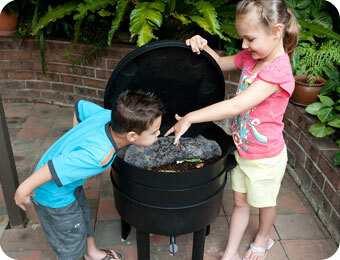 Home » **SALE** Can-O-Worms -1,000 Composting Worms FREE with this purchase! Go ahead, save the earth, we dare you! Compact, odorless, and efficient, this composter will yield beautiful, densely nutritious compost that your plants and gardens will thrive on. Don't ever put your loved ones in the presence of hazardous, earth-destroying, laboratory-manufactured products again. This composter eliminates the need for all apocalyptic chemicals, by harnessing the organic power of the world's most intelligent gardeners, Worms! This multi-leveled composter keeps worms on the bottom tray, and all you'll have to do is feed them your unused food scraps! These worms will literally transform trash into black gold! Keep the composter indoors or outdoors. Never go a day without making compost! Hoard your food scraps, annihilate chemical dependency, resurrect organic material, and save the world today with the Can-o-Worms! Tumbleweed’s Can-O-Worms® is a can of fun and easy for kids of all ages. It’s the world’s best selling worm farm – and it has everything you need to get your kids excited about composting and recycling. The Can-O-Worms® has legs and a tap to make it easier for kids to collect their worm tea …. the worms love the fact that they’ can’t get stuck in corners! An added bonus is the tap on the bottom collector tray. Valuable "Worm Tea" works its way down to the collector tray where you can utilize the handy tap to dispense the tea and use it as liquid organic fertilizer for all your plants. Includes a large coco-brick, to be used as starter bedding, and a handy "how-to" booklet. May be used indoors or out.